Sometimes the hardest part of using social media is coming up with content that your audience will read and engage with. The best engagement will get people to share your content or bring them to your web site. Pressed to create on a deadline, want to post something great on a day-to-day basis or looking for a original concept for your next campaign, we got you covered. Creating consistent and valuable content is no small feat, until now. With eFraud Prevention™ there is no need to plan ahead. Share what is most important. We offer hundreds of "How-To" Pro Tips that help your audience avoid getting scammed. Nobody wants to get scammed. 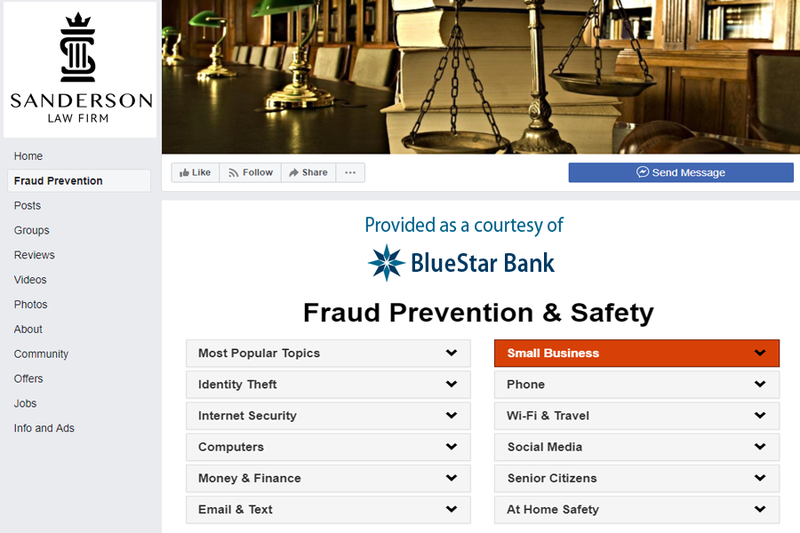 Fraud prevention awareness increases marketing engagement and goodwill towards your financial brand. Fraud prevention tips that are written as easy-to-follow "to-do-lists". Just copy and paste the helpful tips as a post to any of your social media accounts. 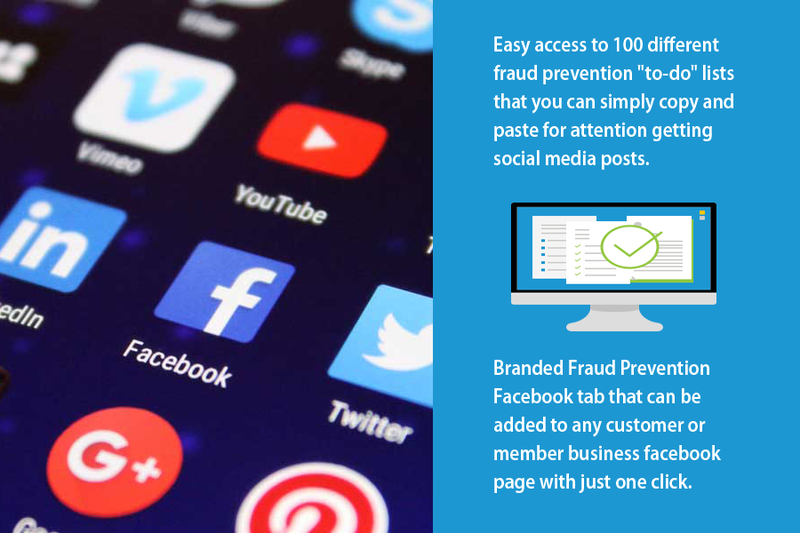 eFraud Prevention™ can be integrated as a Facebook tab for any of your customers or members with Fabebook business pages. 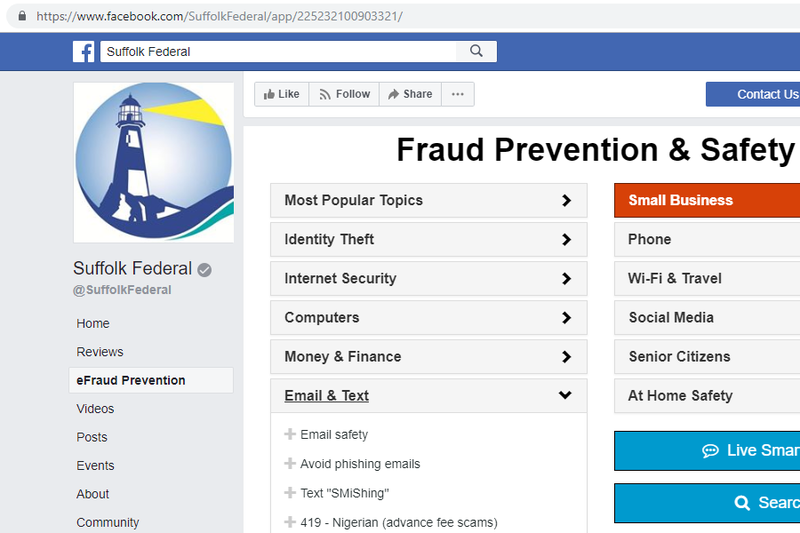 Best of all, the fraud prevention portal will have you FI logo included as an additional marketing benefit. Offer an additional free service that separates you from your competition. Increases the social sharing of your financial brand. Increases your reputation as the trusted advisor and fraud prevention expert. Post articles that relate to current events. More social activity & posts.